POSTS What is the Best Fitbit for Elderly People? We can agree that receiving the best results from fitness requires a certain degree of tracking. It enables you to see your progress and set goals. Fitbit is one of the most well-known brands that sell fitness tracking devices. While the younger generation have an easier time deciding on which ones to use, this isn’t such an easy task for the elderly. That’s why we’ve done the research to narrow down the search for you. I recommend the Blaze model as the best Fitbit for elderly people. It’s packed with beneficial tech features that remain very easy to use for seniors. 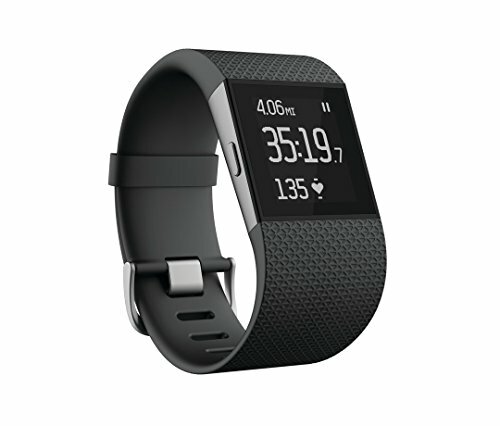 However, the Fitbit Surge and Zip models are also fantastic choices that you should take into consideration too. To learn everything, you need to know about these fitness tracking devices, have a quick read below! 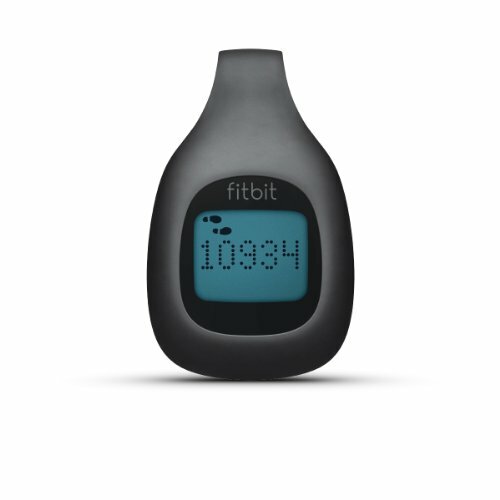 10 What is the Best Fitbit For Elderly People? The technological benefits this Fitbit offers to enhance your workouts and health are astounding. However, it’s not intimidating for elderly people to use. In fact, it’s quite the opposite – that’s why it’s our top pick. 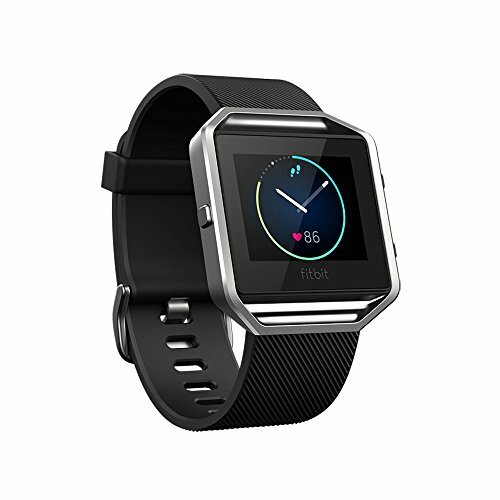 The Fitbit Blaze comes with a heart rate monitor that provides you with information on your pulse in a simplified manner. This is great for elderly people who need to keep a closer eye on their heart rate for health reasons. 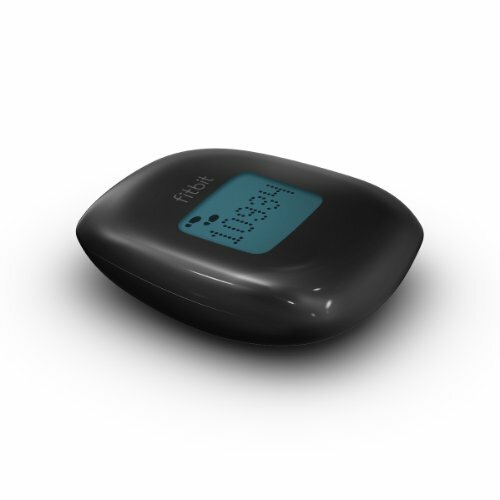 It lets you quickly and effortlessly check what your heart rate is at all times. This is a result of the continuous monitor feature. The Blaze Fitbit monitors your heart rate constantly so that you don’t need to remember to turn the function on or off. The multi-sport tracking feature is fantastic for seniors who like to stay active with a variety of exercises. It lets you keep track of all the kinds of exercise that you partake in. 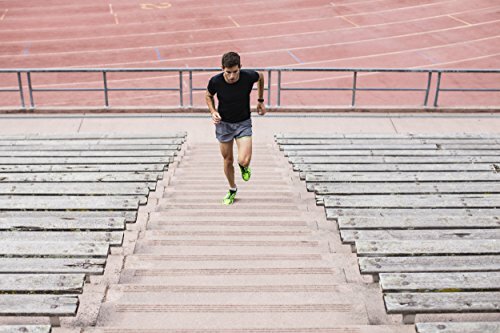 This could include biking, running, or weight lifting. Regardless, you can be sure that this Fitbit will track it all accurately. This leaves you with precise data on each of your workouts which makes it easier to see where you can make improvements. With an all-day activity tracker, you have the ability to keep closer tabs on how much exercise you complete over the course of a day. Therefore, you don’t just have to wear this watch while you workout to reap the benefits. You can wear the Fitbit all the time and it will track all the activity you do. It’s an automated system which makes it a lot simpler for seniors to look back on their stats for the day and see areas that need improving. There is a FitStar program built-in to this model. I liked this feature a lot due to how easy it is to use. As a result, it could be the best Fitbit for elderly people who are having trouble finding specified workout routines. This program provides you with step-by-step instructions for various workouts. So, if you were feeling a little unsure of where to start, you could simply follow one of the workout programs. They are very easy to follow which makes the Fitbit a lot easier to get to grips with for seniors. The display that has been used for the Fitbit Blaze is incredibly easy to read. Therefore, it’s the best Fitbit for elderly people who may be suffering from sight problems. I also found that any glare or reflection is minimized. So, it’s excellent for both indoor and outdoor use. Unfortunately, some customers have mentioned how this Fitbit feels uncomfortable to wear. This is especially the case if you wanted to sleep with it on. There is a buckle which is prone to digging into the skin. Even though you may not notice this as much during exercise, it’s still an issue that will bug people who wanted to track their body’s activity while sleeping. The Fitbit Surge uses a simplified heart rate monitor system. This is on an automatic loop that starts as soon as you turn the Fitbit on and begin using it. I liked this feature as it caters to seniors well. You don’t have to worry about turning it on or off to track your heart rate. It simply works by itself. Some elderly people find it difficult to keep track of their previous workouts. If you’re concerned about poorer memory affecting your ability to track your progress, the workout tracker built-in to this Fitbit will be incredibly beneficial. The Fitbit Surge tracks workouts for you so that you can look back on what you did last time and try to improve. With an all-day activity tracker, you can be sure to get the most accurate information surrounding your activity. It tracks the number of steps taken, calories burned, distance traveled, and even the number of floors that you’ve climbed. 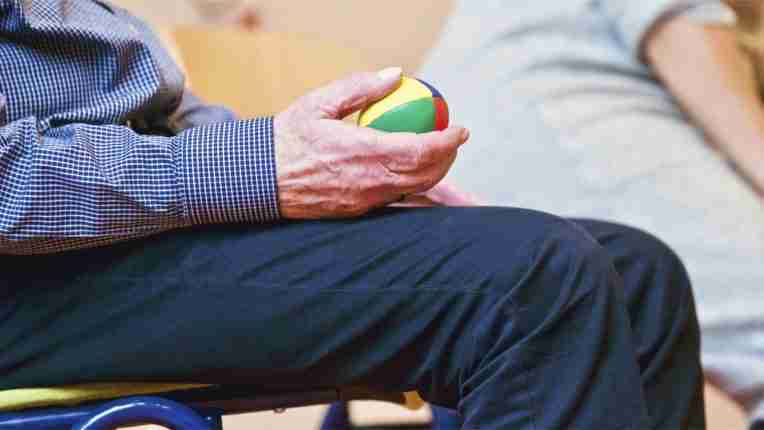 Seniors may feel like they’re not active enough throughout the day. But utilizing the all-day activity tracker can open your eyes and make you realize that something as simple as a short walk is still a form of exercise that’s beneficial for your health. You can connect the Fitbit Surge to Android, iOS, and Windows devices with ease. However, this may be something that seniors struggle with. But this Fitbit doesn’t need to connect to these devices to work. 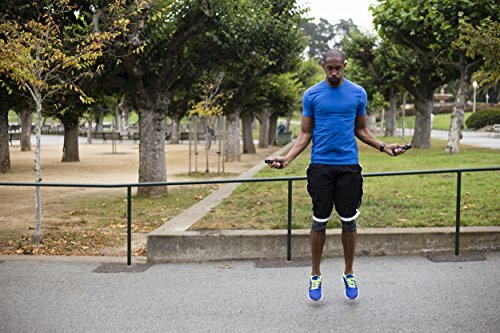 Other brands of fitness watches require you to connect them to phones to operate. With this one, you can simply use the touch screen display and the buttons to navigate your way around your fitness stats with ease. While you’re able to use the touch screen display to access different features, I did notice there was one glaring issues with it. Many customers have found that the touch screen is way to sensitive. You can end up on different settings, simply by brushing lightly against it. You then have to find your way back to the home page or the display that you actually wanted to see. The Fitbit Zip has made it onto this list due to how simple it is. Some seniors may not feel 100% comfortable using some of the high-tech that’s available with the above two options. Not to mention, they’re pricier. So, this could end up being the best Fitbit for elderly people who need a simpler device at a cheaper price. Despite the fact that the Fitbit Zip is a lot cheaper and less technologically advanced than the other two models above, it still comes with some awesome tracking features. It works well to provide you with information on the distance travelled, number of steps taken, as well as how many calories you’ve burned throughout the day. Connecting this Fitbit to various devices is incredibly easy. You simply have to set up a wireless connection to a computer or smartphone. However, this isn’t something you have to do every time. 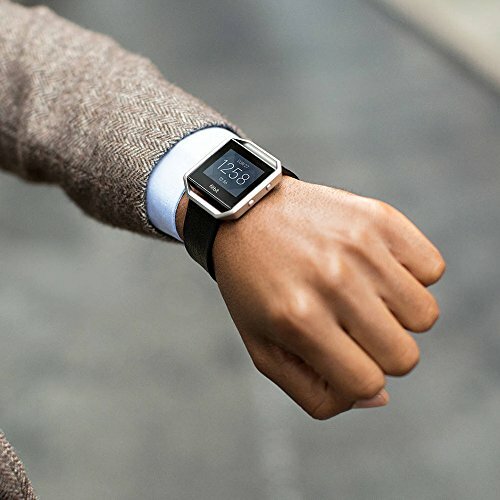 Once you’ve synced the Fitbit up to a device once, it works to connect itself to that same device every time it’s in close proximity. As a result, you can easily see your workout statistics on a phone or computer automatically. One of the main benefits to this Fitbit that will attract many elderly people is how low-key it is. This is because it hasn’t been created with the standard watch-like design. Instead, it has been manufactured with a clip-on feature. As a result, you can easily clip it anywhere onto a piece of clothing that you’re wearing. This means that you don’t have to deal with any potential problems surrounding the comfort of the Fitbit. It’s also very small. Therefore, you can clip it onto a bit of clothing that no one can see, which is what some people prefer. One of the only downsides about the Fitbit Zip is that the battery isn’t rechargeable. It uses a lithium-ion battery which can last you for up to six months. However, every time it runs out of battery, you have to replace it with a new one. Having said that, this would only pose a major issue if you didn’t have a spare battery ready to go. As soon as it runs out, you can switch it and carry on tracking your activity. I recommend the FitbitBlaze the most as it comes with numerous features that enhance the workout experience. It’s tracks your activity and heart rate throughout the day. This is especially beneficial for the elderly as it makes the Fitbit incredibly easy to use. The tracking features are constantly working so that you can simply look at your statistics for the day. Not to mention, you can clearly read the screen at all times, which is great for elderly people with eyesight issues. The Fitbit Surge was the second choice as it also uses automated tracking systems. They work to monitor your heart rate and daily activity, without you having to remember how to turn various settings on or off. Seniors have appreciated these features as it makes keeping track of their fitness a lot simpler. Having said that, the screen sensitivity could be problematic and take longer for elderly people to get used to. I included the Zip as it could be the best Fitbit for elderly people who want something simple and effective. It’s a lot cheaper and doesn’t come with as many technological features, but that’s one of the appealing aspects about it. You simply clip it on and let it do the rest. Be sure to consider all of the features, pros, and cons surrounding these Fitbits so that you make the best decision for your needs. If you’re interested in learning about the best Fitbits for nurses, click here to read our review.